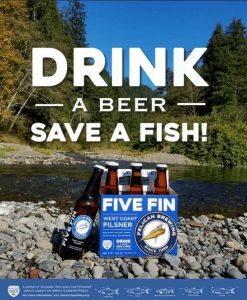 Pacific City, Oregon (May 15, 2017)—It’s American Craft Beer Week (May 15—21) and the craft beer industry is asking the brewing community—and beer lovers—to ‘Beer it Forward’ by giving back and supporting community causes. 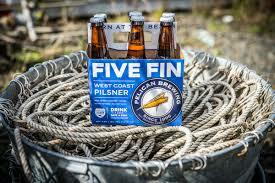 Pelican Brewing Company has answered the call. True to its mission to protect and sustain the coastal area it calls home, Pelican invites brew lovers to ‘drink a beer and save a fish.’ A portion of proceeds from every barrel of Pelican’s Five Fin west coast pilsner sold will be donated to the Salmon Superhighwy—an unprecedented effort to restore access to almost 180 miles of blocked habitat throughout six major salmon and steelhead rivers of Oregon’s North Coast. 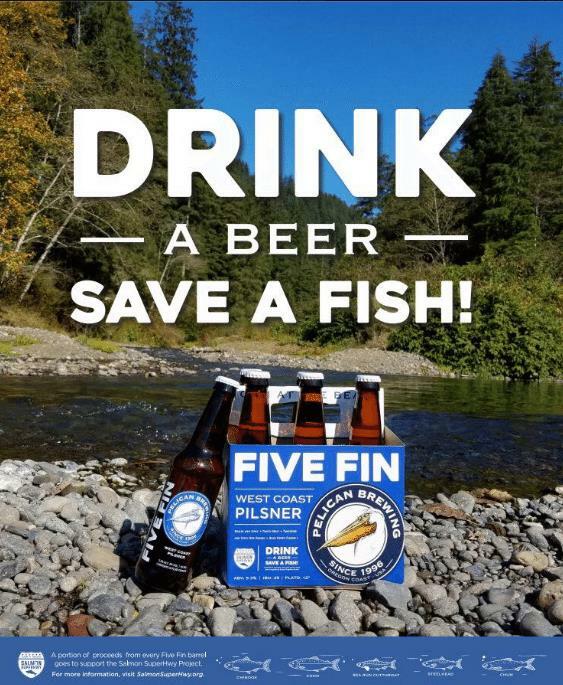 Pelican will also sponsor and host its inaugural Pelican Salmon Run on September 23, 10 a.m. in Tillamook, Oregon as a fundraiser for the Salmon Superhwy. 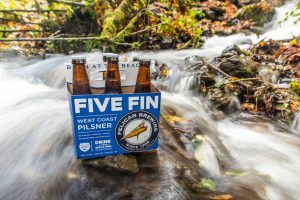 Registration is now open for the 5K and 10K races which begin and end at Pelican’s Tillamook brewery and taproom and take runners on a scenic tour in and around Tillamook. The beer is available now in the grocery craft beer aisle in 6-packs, 12 oz and 22 oz bottles; 50 liter kegs and 1/6th barrels are also available for on-premise pours.